It helps to know how full or empty your battery is. In the same way that you wouldn’t drive without a fuel gauge, you shouldn’t use a battery without some form of monitoring. Lead batteries last longest if they are always kept above 50% of their capacity. Lithium batteries last longest if they are kept above 30% of their capacity. Abusing batteries by discharging them too far seriously shortens their useful life. The cost of a battery monitor works out to be much less than the cost of a new battery. There are lots of monitors out there. Several of them are great demonstrations of what happens when you let engineers specify the design. They do their job (some very well) but they look horrible and their interface is terrible to configure. Some monitors do manage to be useful to regular humans. We chose to use a Victron BMV 700. It’s not super-pretty, but if you have a regular battery you only have to give it a couple of pieces of information one time and then it provides some very useful data back. 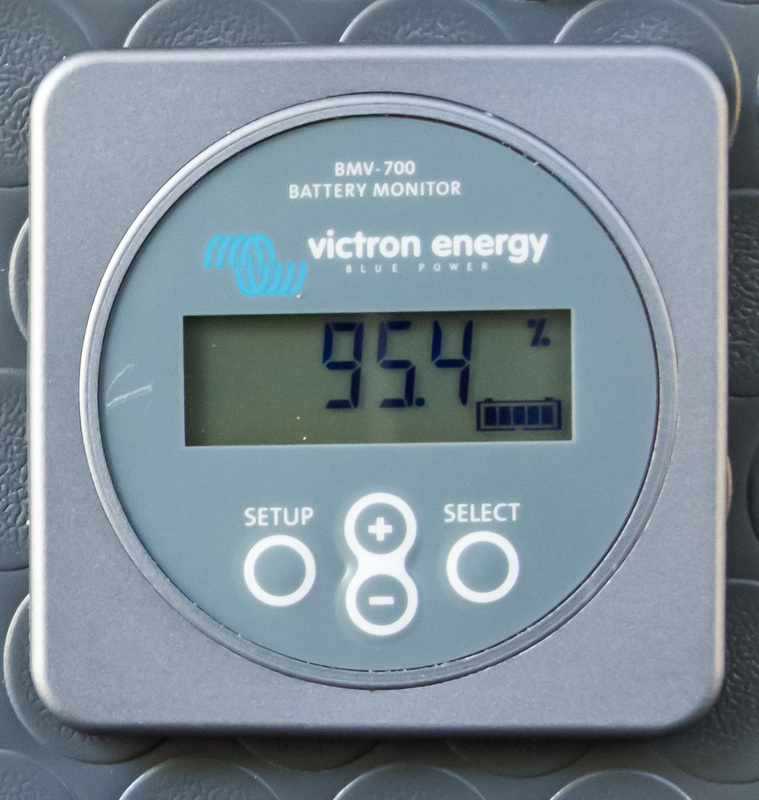 Like any serious battery monitor, the BMV 700 comes with a “shunt” – a measuring device that sits between the negative post of the battery and all the loads on your system. The shunt tracks the current in and out of the battery so that the monitor knows how empty or full it is. A long thin communication cable runs from the shunt on the battery to wherever you put the monitor. Now, you can see state of charge and even moment-by-moment power loads. Now you can tell which of the devices you plug in is really stealing all that power. 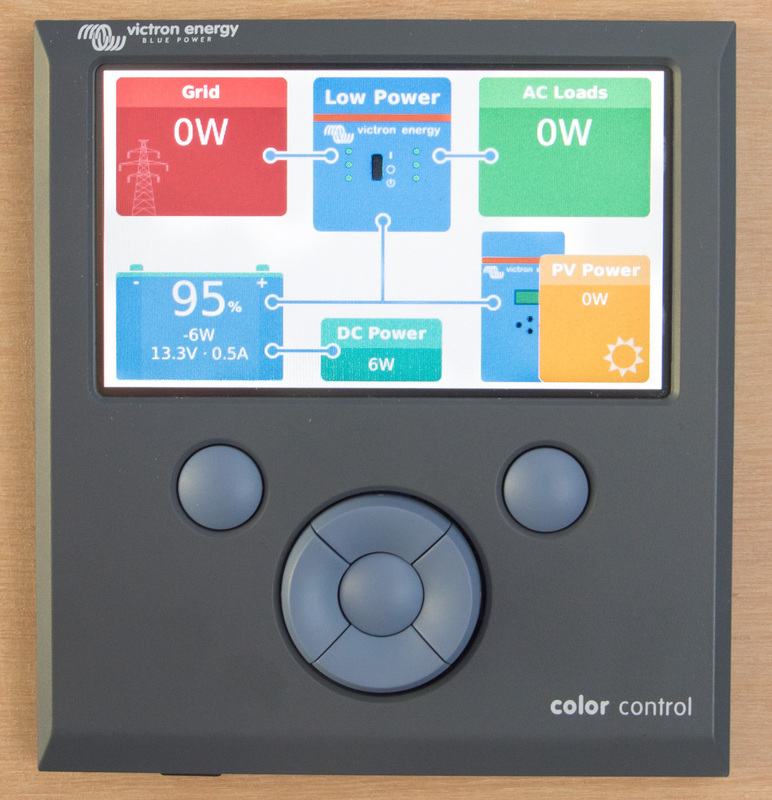 We went a step further as well, and bought a Victron Color Control GX (CCGX). The CCGX is overkill. But, it gives us a visual representation of how the entire electrical system is working. 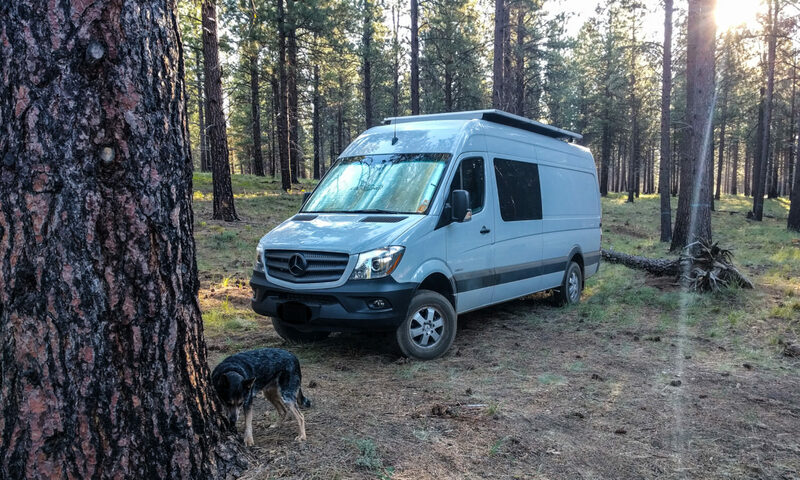 Because all of our electrical equipment comes from Victron, the CCGX allows us to make changes to each component without crawling around in the back of the van to take the front panels off the equipment and plug it in to a laptop. It also connects via the internet to Victron’s VRM Portal where we can see how our system is performing. Andy, we’d use Victron again. They’ve come out with some different products since we built our system, so we might choose different components but we’d still use their stuff. They have been responsive to our questions, and when we had a warranty issue they dealt with it quickly. They offer a 5 year warranty. If you take the cover off a Victron inverter, you’ll see why it’s so big. There’s a massive toroidal hunk of copper wire inside, surrounded by some solid state components that need air space. It’s a quality build. You can get smaller inverters, but typically all the quality brands’ boxes are about the same size for the same level of functionality. If you go with a separate inverter and charger, you’ll be adding more weight and cost. The only advantage might be that you’d still have one unit able to function if the other unit decided to break.